With the dawn of a new year comes conversation of trends shaping the world as we know it — and the travel industry is certainly no exception. Staying aware of and acting upon new trends is important and necessary in order to operate effectively, but it’s not always clear what trends are worth following or what to do with the information once it’s in hand. 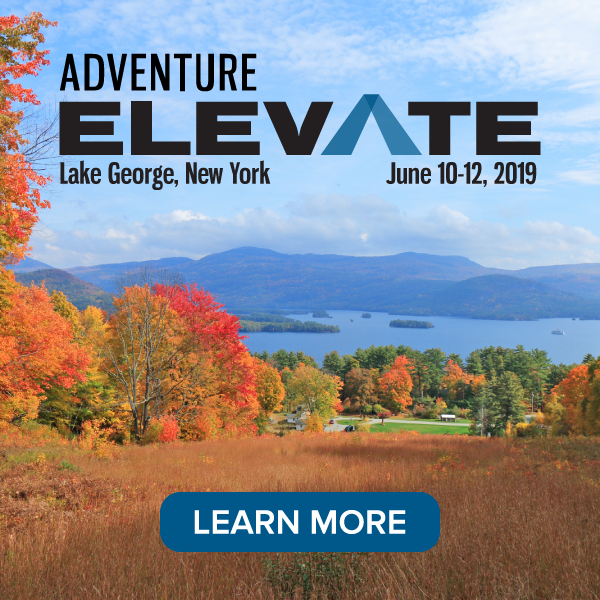 At AdventureELEVATE held in March of this year, I led a trendspotting lab for professionals interested in going beyond descriptive presentations of current trends to understanding how trends will affect the adventure travel industry. This highly interactive session invited delegates to proactively participate in shaping the future together. The experimental workshop’s design was meant to help participants overcome the challenge of imagining a future shaped by these trends and engaged them in formulating specific actions responding to them instead. We started the workshop by illustrating what each of the selected trends actually means using specific examples of innovations already in motion within the industry. 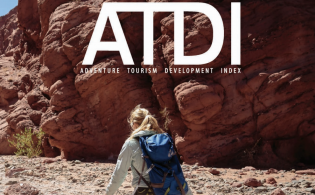 This served as the basis for a real discussion about how the adventure travel community can proactively benefit from these developments to push our industry toward the future we desire rather than the one we fear. Because the conversation was enlightening and likely of interest to many who weren’t able to attend AdventureELEVATE, I wanted to share some examples covered during the trendspotting lab. These are just a few of the trends we discussed that are shaping adventure travel — and a bit more information about how our community can help harness these trends for a more desirable future. What does it mean? Talks about technology and artificial intelligence (AI) are part of daily life, but lately there’s been an emphasis on how AI might lead to job loss, limited privacy, and other concerning developments. Rather than give in to anxiety about how it can develop in the wrong way, we want to think positively about how technology can enable us to do and achieve more of what we think is right for adventure travel. Perhaps it can help us magnify the efforts of better managing tourism’s footprint or fight challenges such as overtourism. 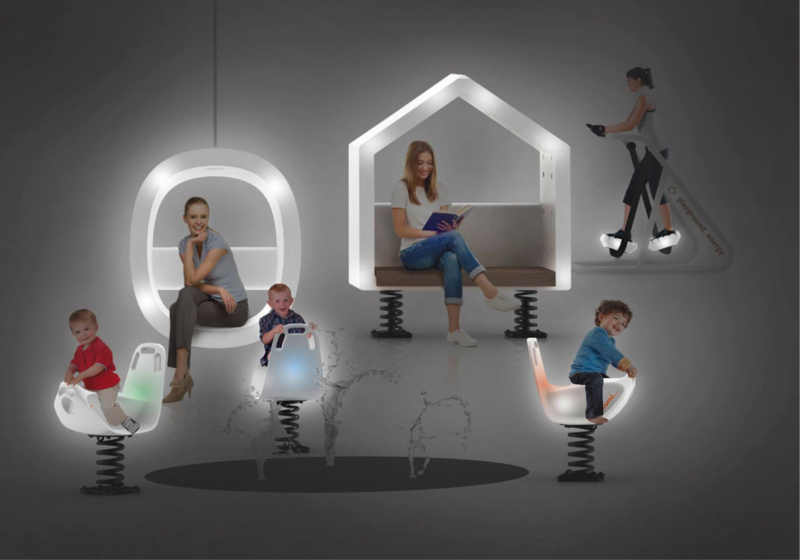 Example #1: Technology making it possible to produce sustainable energy while having fun exists and is becoming increasingly visible across more innovative urban areas in Europe, North America, and Australia. Companies like Playground Energy produce installations to fuel water fountains, lights, or other outdoor equipment requiring electricity by harnessing children’s kinetic energy on playgrounds or adults in recreational areas. How can we act on this trend to shape a desired future? Destinations or accommodation companies could actively integrate energy-producing technology when investing in the development of leisure areas such as parks, playgrounds, and bike or running lanes. If more places make even small investments in such solutions, the accumulated effect will result in significant energy savings by replacing less sustainable energy sources and will move destinations closer to a sustainable existence. Example #2: More technology translates to an increased ability to collect data and use that data to find evidence-based solutions to complex problems. 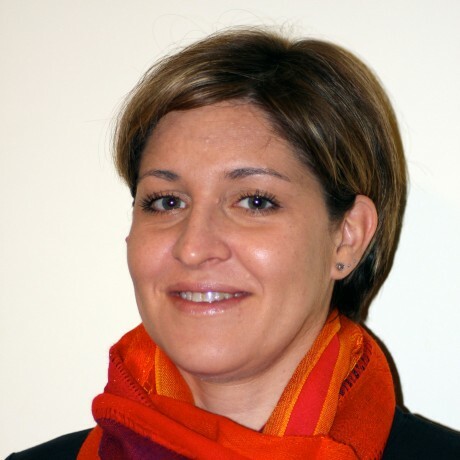 An example of how this can be put to work comes from the city of Amsterdam, which is one of the leading tourism destinations in Europe and one of the cities experiencing challenges with overtourism. Using technology allowing for data collection on visitor flow patterns, city representatives gained a better understanding of where, when, and how overcrowding occurred. With a new level of data and visitor flow analysis, the destination management team arrived at new insights regarding alleviating pressure on tourism hotspots and rolled out market and policy measures with a visible impact. How can we act on this trend to shape a desired future? Destinations can embrace technology as a vehicle for gathering visitor flow data in order to foresee and prevent overtourism or to find smart ways to alleviate pressure in areas that are already crowded. More data means realistic analyses and evidence-based solutions with easily measurable results rather than guessing. What does it mean? One of the biggest sins of our industry is the huge negative footprint of transportation, whether by air, water, or road. While tourism continues to grow in popularity — and it seems unlikely that people will limit their travel in the name of sustainability — innovations in the transportation sector can offer some solutions. It is worth being mindful of these innovations and starting to think about how they can help green the industry on a bigger scale. 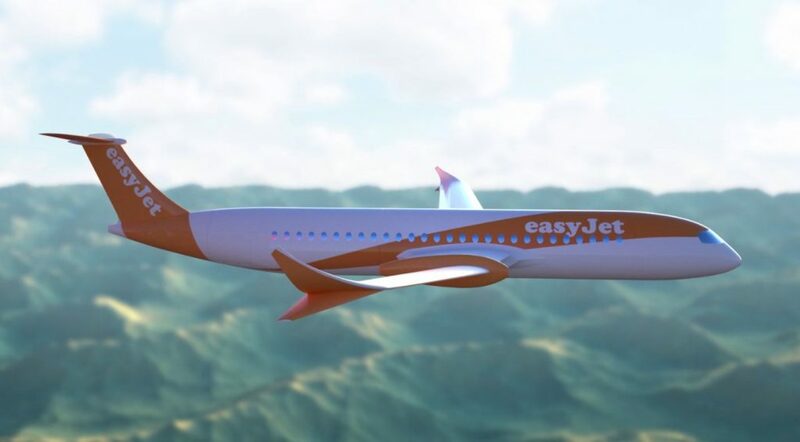 Example #1: The airline company easyJet has partnered with Wright Electric and the two are working together to develop an electric plane. While this is a work in progress, both companies have expressed hope to begin testing short flights with their prototype in just a few years. How can we act on this trend to shape a desired future? Many destinations are ambitious about transitioning to a future that will position them as leaders in sustainable practices. As they are working on their sustainability strategies for the next few years, maybe some will begin planning to transition to entirely fossil-fuel independent access and become the first places on earth one can visit only by traveling on electric vehicles, including planes. Example #2: Earlier this year, Toyota introduced a prototype of its e-Palette, a multi-functional, shared, and entirely electric mobile space. The autonomous vehicle can be used for many functions in urban and non-urban destinations as delivery services, emergency and ambulance services, public transportation services, and, of course, touring services. How can we act on this trend to shape a desired future? Bold destinations have a chance to benefit from solutions like the e-Palette and green their tourism operations. Moving spaces like this can replace the traditional touring vehicle, which, in most cases, use fossil fuels and contribute to overcrowding in popular destinations. They can also serve as peer-shared mobility solutions optimizing the movement of tourists and residents without requiring the presence of additional vehicles on the streets that serve only visitors. What does it mean? Modern societies are suffering from technology overdependence and permanxiety (a near constant state of anxiety plaguing the world) so there has been a growing awareness of the need to return to nature as a source of restorative and rejuvenating power. This is fueling demand for experiences enabling the reconnection with nature and immersion in green environments as a way to offset the stress of daily life and encourage digital detox. To address this trend, architects, urban developers, and space designers are introducing innovative projects enhancing living environments by bringing nature back into our everyday realities. 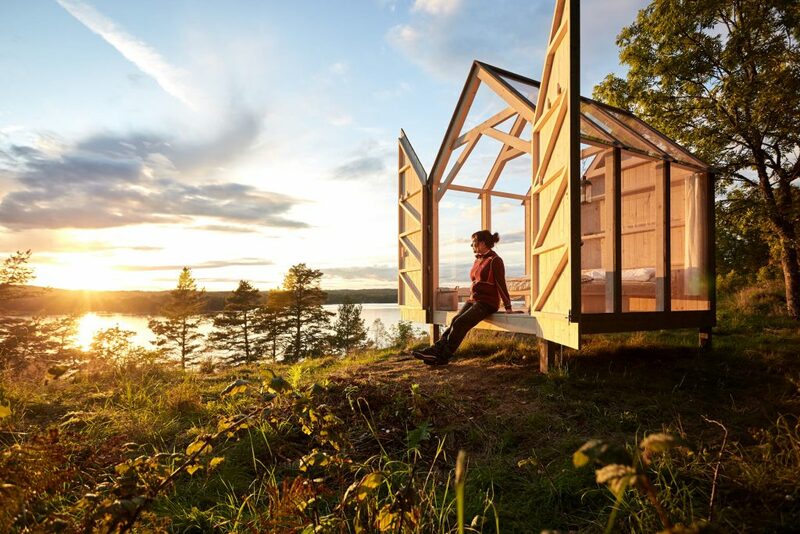 Example #1: One of the most intriguing examples of how travel can become a major solution for the extraordinary stress levels in modern society is the recently launched Western Sweden 72-hour cabin experience. This three-day program involves spending time in full isolation and total immersion in nature to offset the negative impacts of stressful living. The design of the experience is informed by scientific experiments revealing that it improves basic health indicators and stress-related health conditions. How can we act on this trend to shape a desired future? As a responsible community, the adventure travel industry can help alleviate permanxiety in our society through targeted development and enhancement of existing nature-based experiences allowing travelers to experience nature’s rejuvenating power. 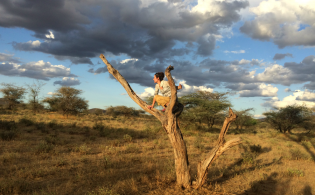 By helping the modern traveler reconnect with nature, destinations and operators can magnify the movement of returning to nature and rebuilding the appreciation for its restorative energy. Restoring respect to nature will inevitably also result in greater interest in protecting it now and for the future. Example #2: There are numerous examples of efforts to bring nature back into urban centers. One of the pioneers in this movement is the Italian architect Stefano Boeri, who is behind the development of the prominent vertical forests in Milan, and whose team is engaged in building the first vertical forests in Nanjing, China. In an effort to develop and enhance green urban living, other cities, including Cairo, Dubai, and Paris, are exploring the development of neighborhoods that mix urban infrastructure and nature. How can we act on this trend to shape a desired future? Destinations can begin exploring the benefits of green architecture and green urban infrastructure, incentivising accommodation and leisure infrastructure investors to move toward these forms of development. City destinations becoming greener, cleaner, and nature-friendly are certain to gain a tremendous competitive advantage as more travelers seek to combine visiting new places with restorative experiences. The trendspotting lab executed during AdventureELEVATE was an exciting experiment as part of the Adventure Travel Trade Association’s (ATTA) efforts to lead innovation processes in our industry. That workshop — and the trends noted in this article — are just the beginning of the creative conversations we we would like to engage in with the industry. Whether creating energy from leisure areas or utilizing multi-purpose, modular spaces, we see many opportunities for harnessing innovations to shape the future in a way that aligns with our industry’s values. We welcome and encourage our community to proactively continue this conversation about trends and opportunities. Please share your thoughts and ideas below. 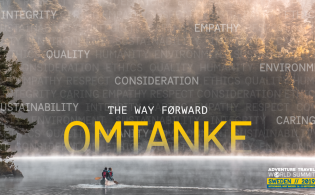 This was a wonderful morning read, in particular I really enjoyed the segment you wrote on “Return to Nature” – I work as a sea kayaking guide in Canada and Chile and I couldn’t agree more with the points you have made. Traveling is this rare opportunity for people to escape from the well known environment of home and to not only experience a new place, it’s environment and people but also on a personal level to learn / grow, detox / return to nature; I see it all the time.